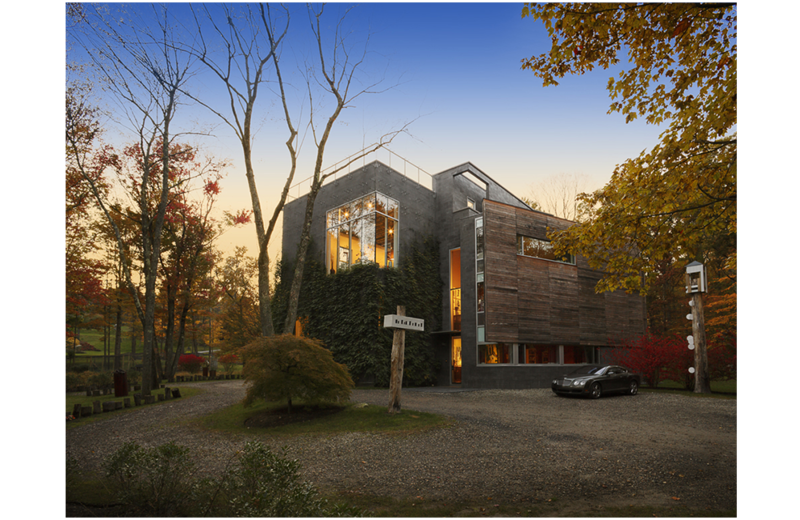 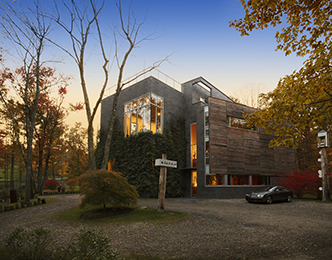 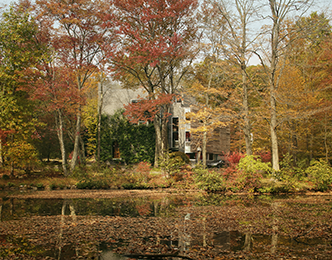 Situated in the bucolic landscape of Greenwich, the 'Art Barn' was constructed on the property of an existing Greenwich home estate. 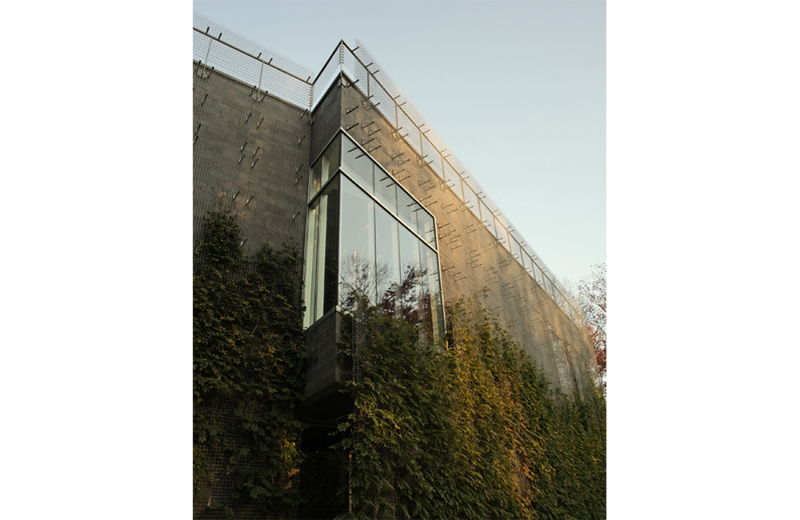 The structure takes its cues from the striking natural beauty of the serene environment. 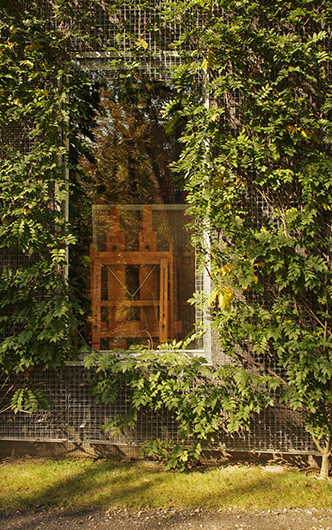 A large multipurpose studio is a space for making and displaying art; the architectural materials employed, layered to create a rich and tactile building, reflect the nature of the artwork produced here. 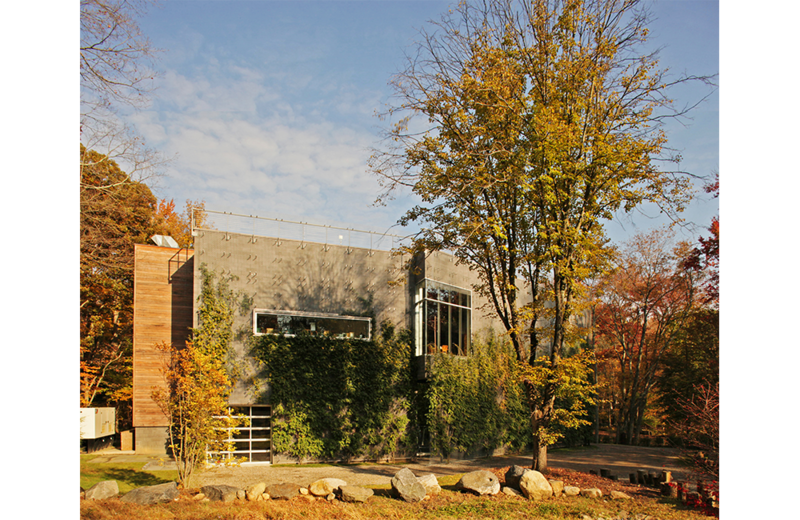 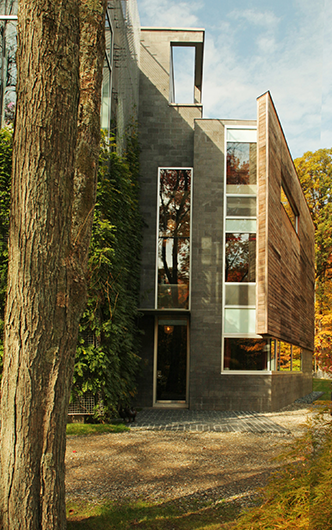 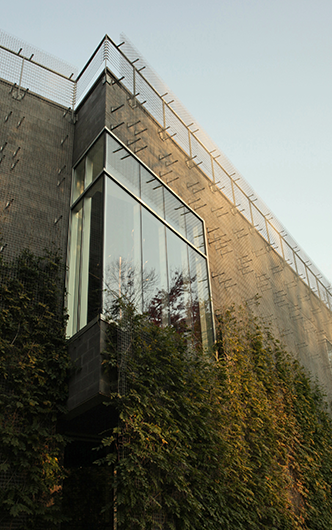 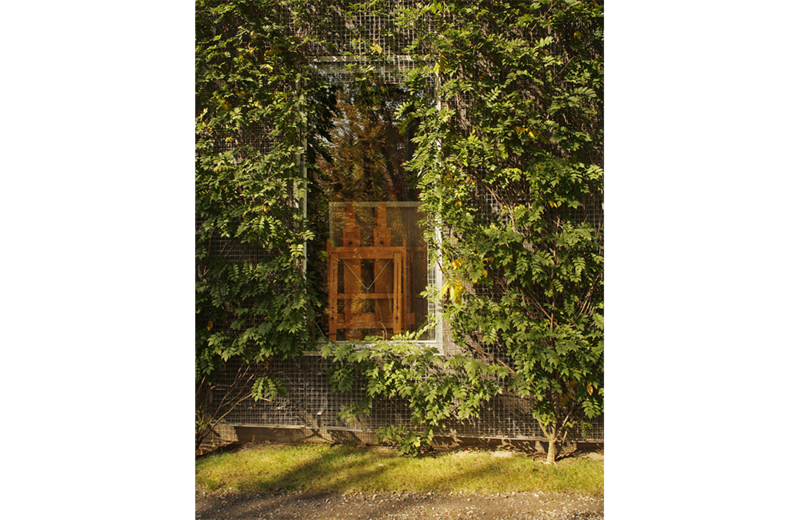 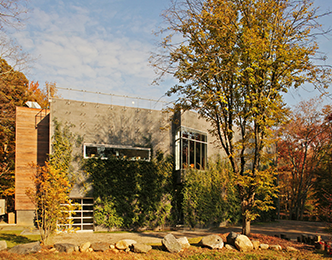 The main structure is economically built of concrete block, which is softened by a planted screen and cedar elements. 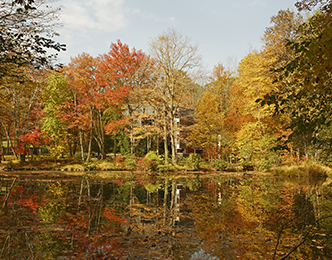 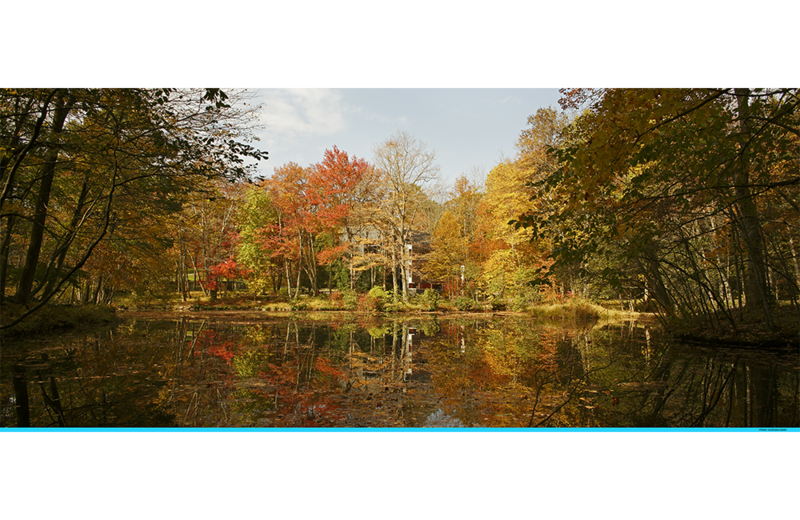 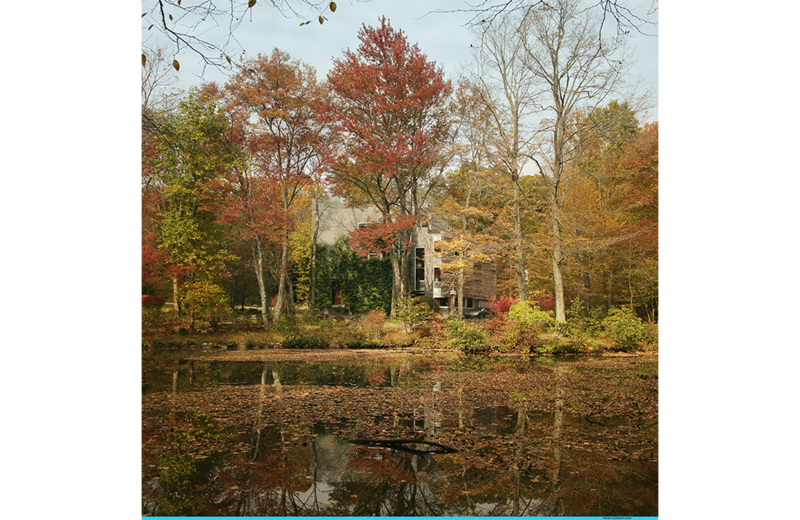 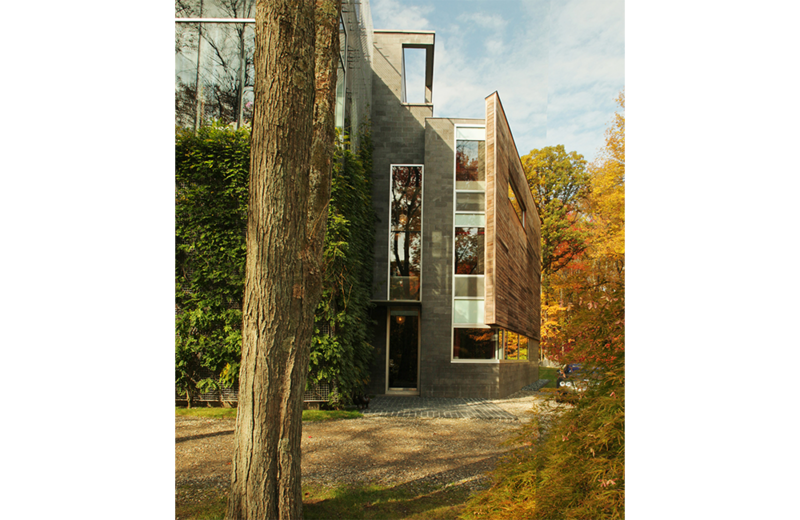 This sensitive and economical solution protects the adjacent environment of the wetlands and woods, allowing the building to blend into the surrounding landscape.